Have restrictions on the internet when browsing through your iPhone? If you do not have an unlimited data tariff, then you should always keep track of how much you are consuming according to allowed. Maybe when browsing Safari not consume many megabytes, but by Spotify music or watch videos on YouTube or VEVO itself can pose a risk to your phone bill. There are ways to control our consumption of data through the iPhone, but they are very basic. Hence the idea posed Next DataMan application that maintains a thorough survey of all the data we consume when we surf the internet through our iOS devices. In the new version, released a few days ago, has radically changed the design of the app, featuring now a much cleaner interface and clear. The app supports connections LTE, 4G, 3G and Wifi networks and works with all types of operators. When you go to your approaching consumption limit, the application will warn you. Next DataMan is available in the App Store for half price. Temporarily can download this tool for 0.89 euros. 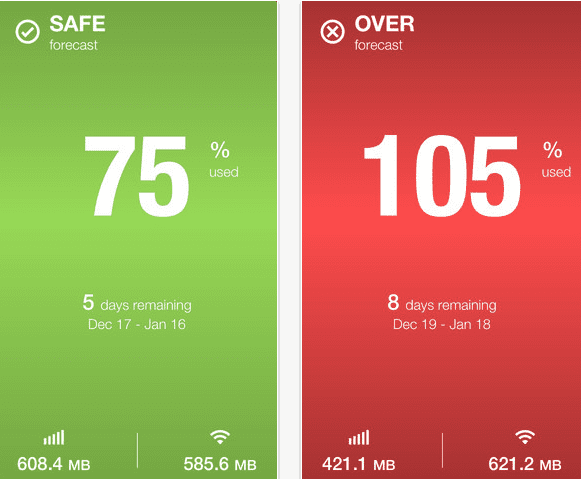 Article Control your data usage with DataMan Next was originally published in News iPhone .